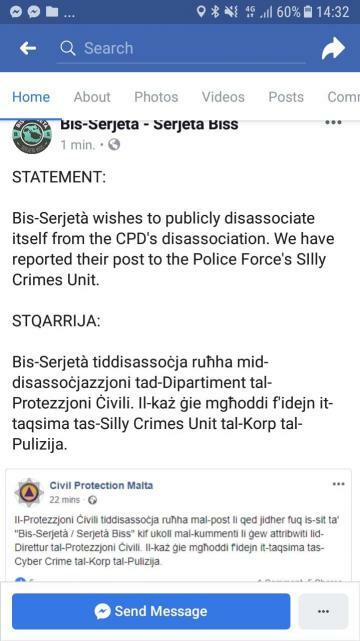 The Civil Protection Department has seen red over a tongue-in-cheek story written on a satirical website under the heading "Civil Protection Department issues AMBER Franco Debono alert"
In a statement on Sunday afternoon, the department said it was dissociating itself from the story on Bis-Serjeta/Serjeta Biss and comments attributed to its director. It is also referring the issue to the police. 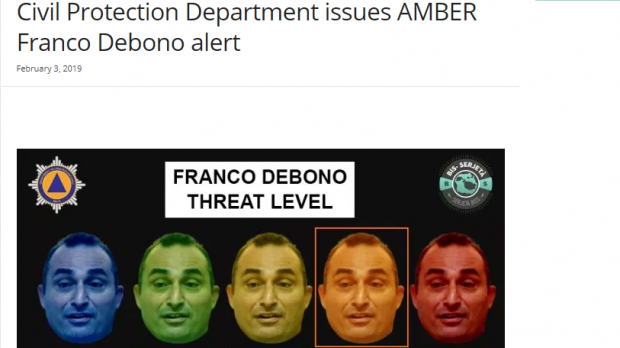 The story said that the Civil Protection Department had issued an amber Franco Debono warning, 'the second-highest threat level possible'. The amber alert, it explained, meant that a Xarabank appearance was now imminent. The story appeared after Dr Debono returned to the headlines with claims that the prime minister was corrupt. “We should have paid more attention to the signs from the past few months. You should never take your eye off an ego that huge,” CPD director Emanuel Psaila 'was quoted' as saying. The Civil Protection Department was in no mood for a joke, however. "The case has been passed on the Cyber Crime Unit of the Police," it said on Sunday.